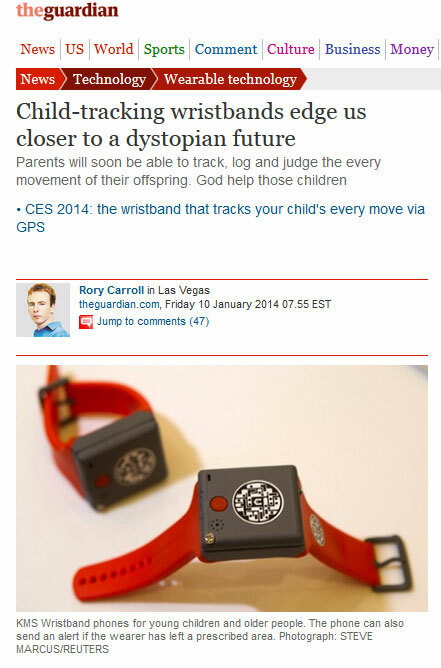 Because we’re living in that oh-so-trendy technocratic age where everything needs to be traced and tracked, why not chip your children with a trendy new RFID (Radio-frequency identification) bracelet? As they ride on the bus Foster’s phone and a sensor on a wristband alert the school and his parents of a deviation from his normal route. The school has been notified that he is heading to Aiden’s house so the police are not called. 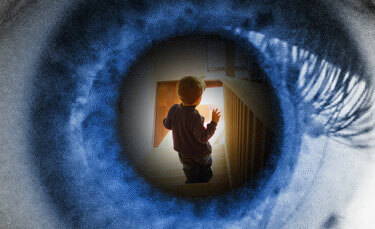 As they enter the house, the integrated home network recognises Aiden and pings an advisory to his parents, both out at work, who receive the messages on phones and tablets. The system also sends Foster’s data – physical description, address, relatives, health indicators, social media profile – to Aiden’s parents, who note he has a laptop. Might the boys visit unsuitable sites? No, because Foster’s parental rating access, according to his profile, is limited to PG13, as is Aiden’s. Foster spots a cookie jar and reaches in. Beep beep! His wristband vibrates to warn him the cookies contain gluten, and he is allergic. Aiden’s mother notes this and consults a menu of her fridge and pantry, all connected to the network, for non-gluten ingredients. There aren’t enough so she orders a gluten-free pizza. A future complete with training children that it’s totally normal to be stalked with technology and to never have even a single moment of privacy, starting when they’re too young to even think critically about what these tracking bracelets really are — invisible, digital prisons. All this trendy tech is just breeding a culture of dependence and enslavement.